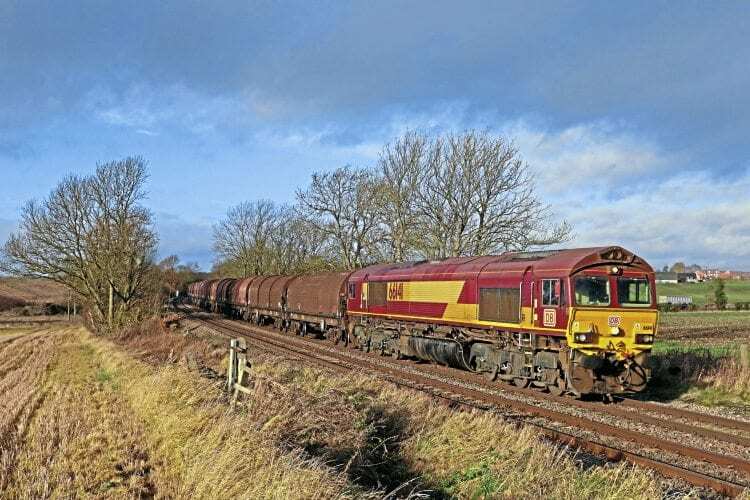 GB RAILFREIGHT has confirmed it has bought 10 Class 66 locos from rival operator DB Cargo. It was back in August that the German-owned company said eight stored and two active members of its fleet were to be sold, some having serious engine defects, including cracked blocks. The value of the deal is undisclosed, but GBRf has expansion plans, and the company was recently advertising for six drivers on a salary of more than £55,000 a year. The locos GBRf has bought are Nos. 66008, 66016, 66046, 66058, 66081, 66132, 66141, 66184, 66238 and 66250 – the last of the class delivered to former owner EWS. No. 66141 had been stored since April 2014, but has been reinstated to traffic. GB says it will number the locos from 66780 to 66791, and in time, all will get GB branding. The latest purchase comes on top of three Class 47s bought from Colas Rail – see RM January, p97.